Naughts & Cross stitches: A Chef, dinosaur and some flowers! A Chef, dinosaur and some flowers! 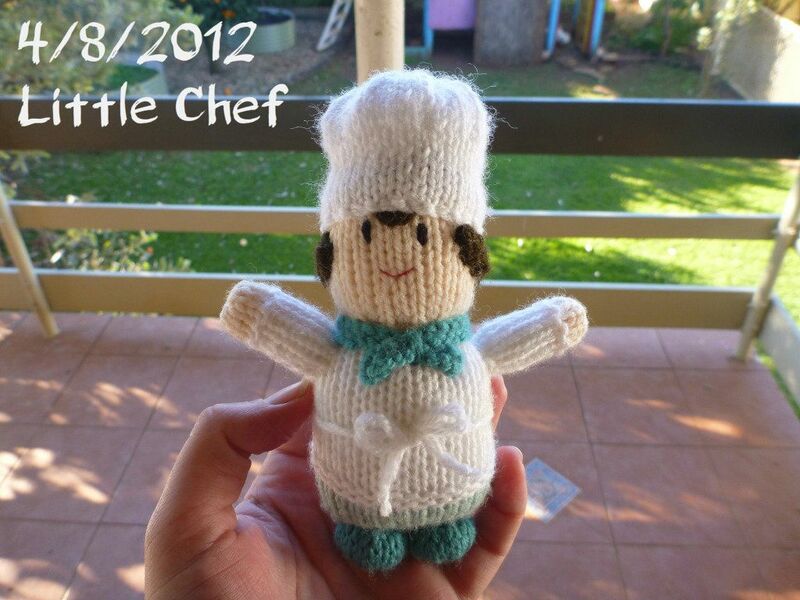 Well I have finished the little chef but shhhh..... don't tell my mother! It looks like her and will be her Birthday present in a month. Though it is 100% finished as I still need to make the donut for him to sit in. 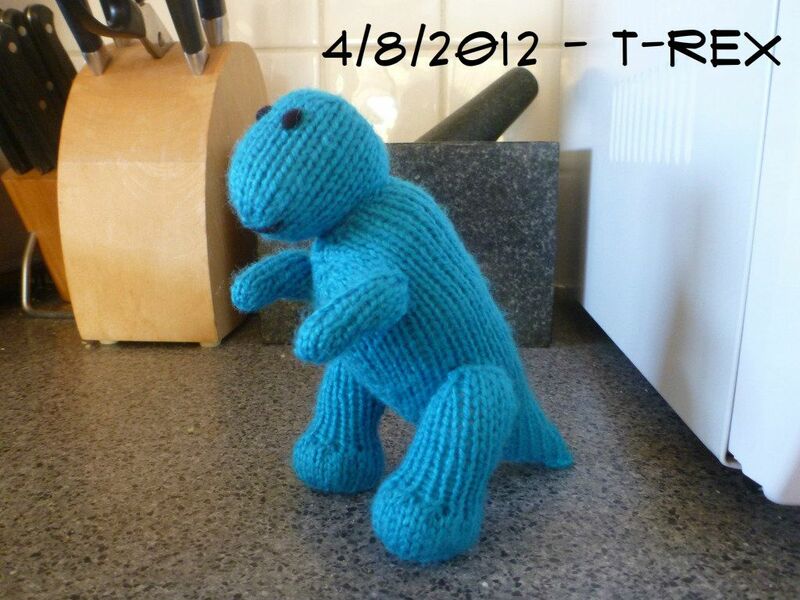 I also finished the t-rex dinosaur I think I first posted about this guy at the end of January! 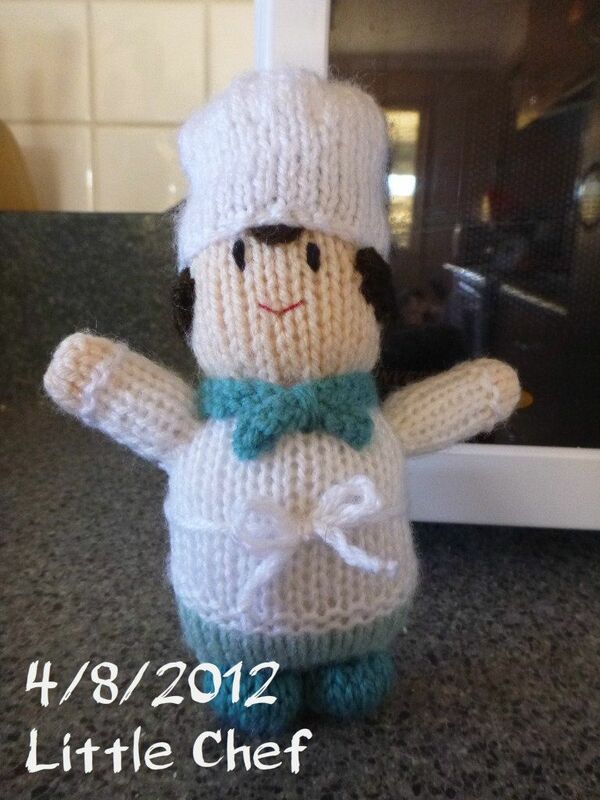 I really didn't enjoy knitting him but I needed my needles to make the donut and the chef and all those guys. Because I didn't enjoy making him I didn't really bother to photo him until now because I am giving him away tonight to a little boy who will love him! Not sure why I didn't enjoy making him .... maybe because he's wonky! I only have one set of size 3 needles that I use for my little toys so I can only have one toy going at a time. It saves my sanity! 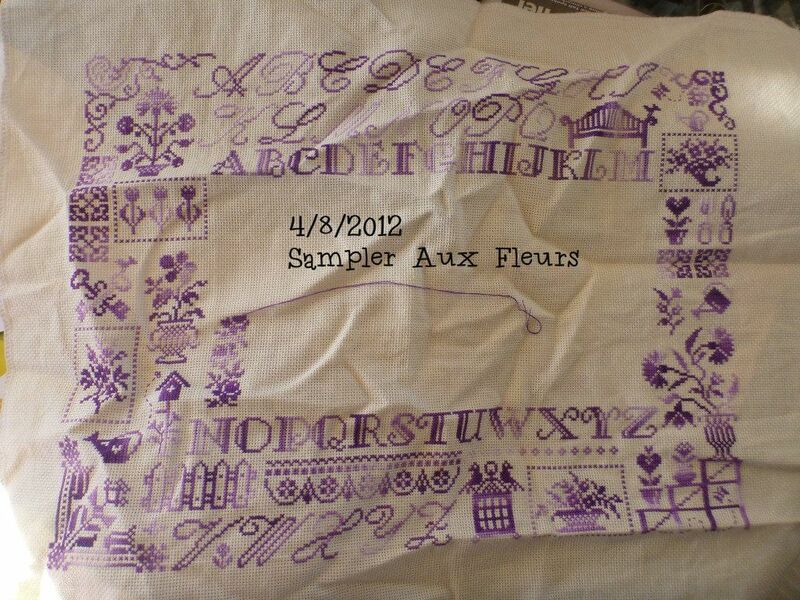 I also have been busy with Sampler Aux Fleurs because it can easily go to school. So I have got a couple more motifs finished and one half done! I love this lace it looks so nice. 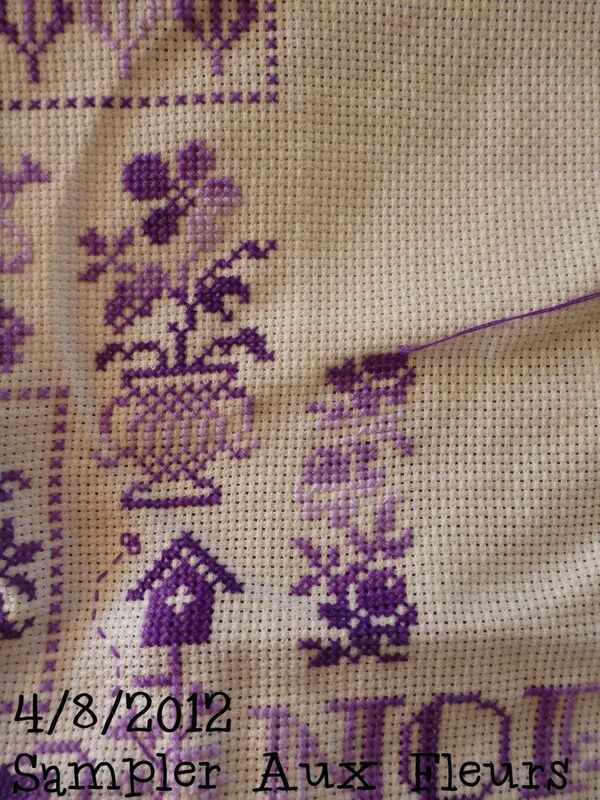 Done the flower in the vase and started the lacy flowers to the right. Great stitching. The little chef and t-rex are very cute. Awww lovely little chef and t Rex .. The cook is nice and funny! The chef is adorable! And there will be a doughnut for him to sit in? Super cute! 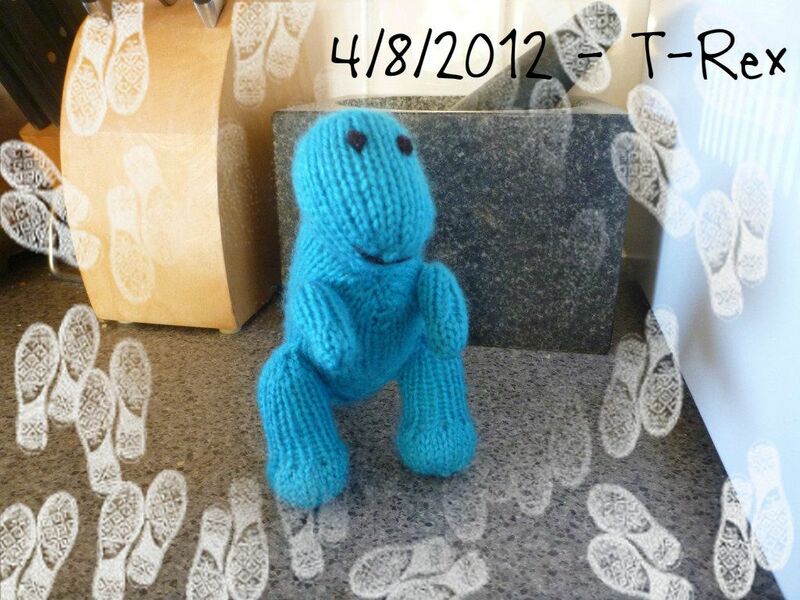 What cute toys - great knitting! Such a cute chef...your Mum will adore him!Love the t-rex too, i can imagine any little boy would love to have him! 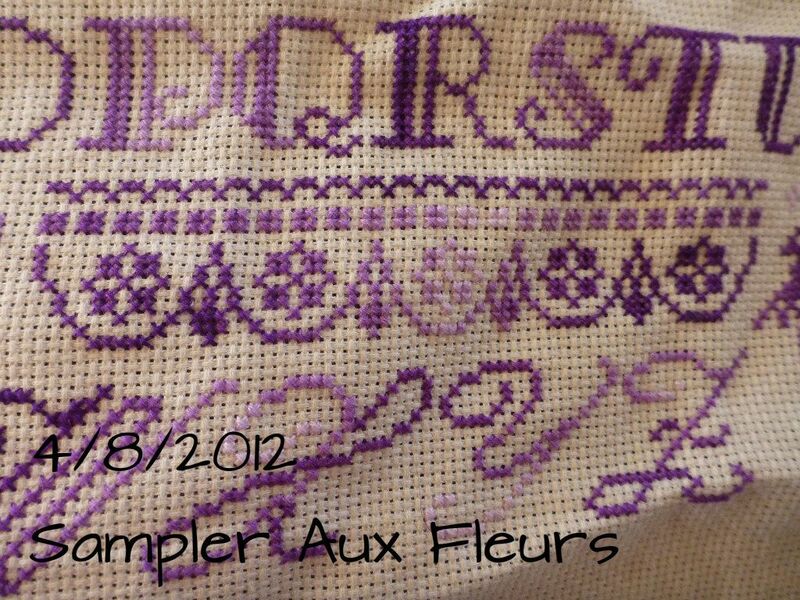 Great stitching too, my favourite colour! Love the sampler and the little chef is just so cute. Looking forward to seeing your new Ink Circles starts in due course. That chef is just soooo adorable!!!! Your sampler looks so pretty!! !